Not everyone can make it to a Guerrilla Marketing for Job Hunters presentation. Fortunately, David and Kevin have started recording them. Admittedly neither of these guys is going to win an Oscar for any of these job search videos but you’ll get lots of great ideas that will help you take your job search to the next level and get a job fast. Look below to find the job search video DVD which best suits your needs. All are full-length 90-120 minutes. Several of these videos cost more than $10,000 to shoot and produce. All where done in front of live audiences with the exception of the Commando Tactics DVD which was produced in the Rogers Studio. The suggested audience for each video is noted in the write ups. Each video is different and was customized for the intended audience. This job search video on DVD is for EVERYONE and is approximately 60 minutes long. 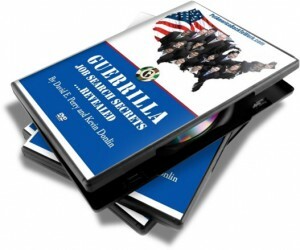 Shot in the Rogers Television Studio in Ottawa it provides a detailed explanation of the best guerrilla tactics like the Coffee Cup Caper, Guerrilla Resume, LinkedIn and Google, as well as the Guerrilla Cover letter and more. Worth 10x the $29.99 investment. For students or people returning to the workforce. A college in San Francisco was the setting for this presentation. It is approximately 2 hours including the Q&A and was done in front of ~ 145 career counselors and 90 mature students. For more information click the link below. This 90 minute job search video on DVD was shot at the Michigan State University Campus just outside Detroit. For more information click the link below. 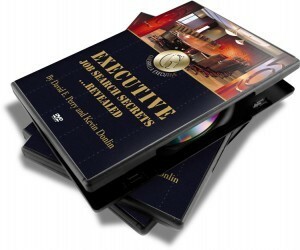 This DVD was shot in front of a sold-out crowd of ExecuNet members in Toronto CANADA. For more information click the link below. 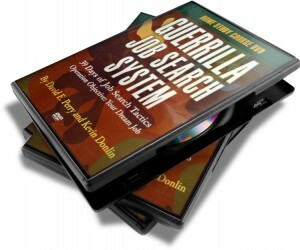 Guerrilla Job Search International, Inc.
© 1996 - 2015 Guerrilla Job Search International, Inc.